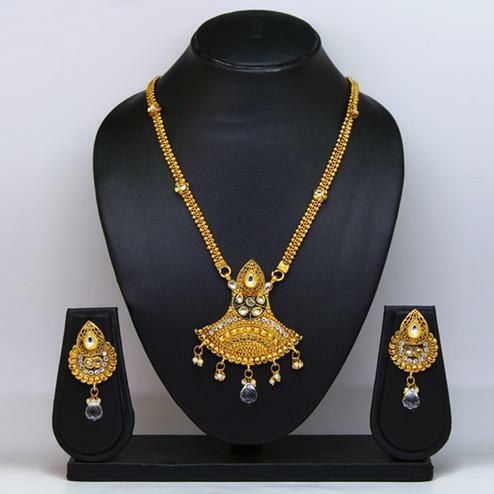 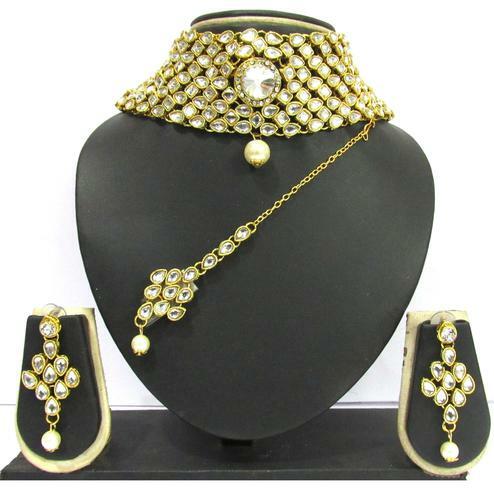 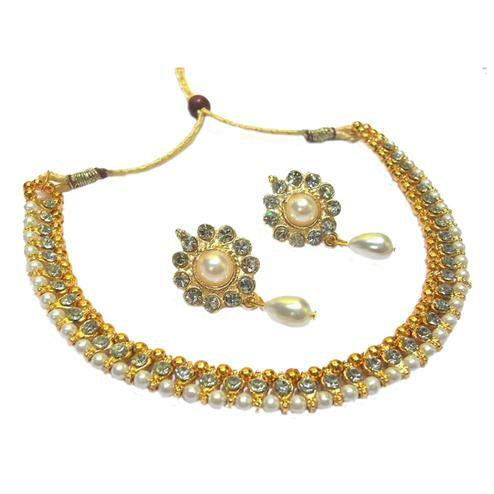 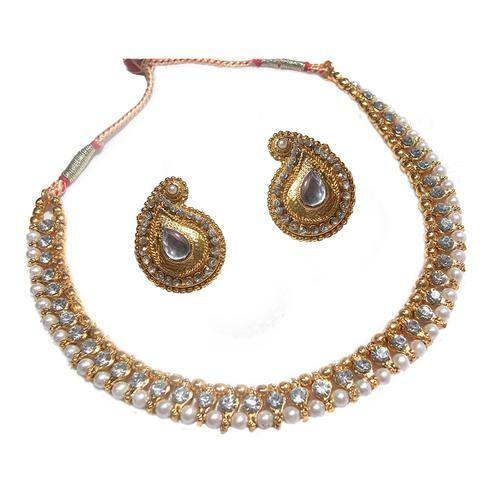 This white stone tilak pearl polki necklace set features pearl decorated with ethnic golden work that makes this piece really warm & glowing. 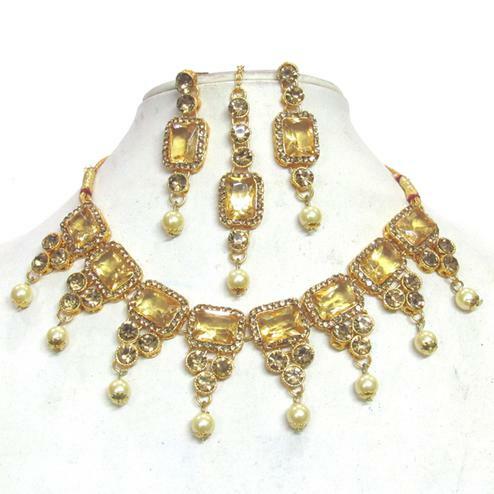 It’s very ethnic earrings adds to the festive appearance, as it truly dazzles. 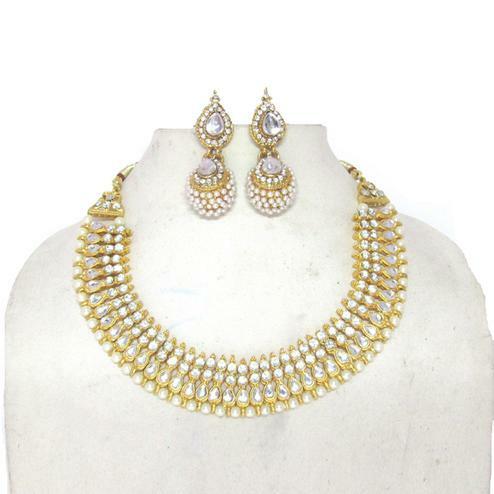 Perfect for weddings & other formal occasions. 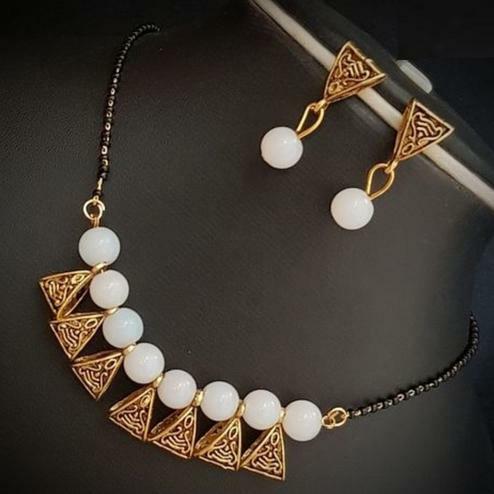 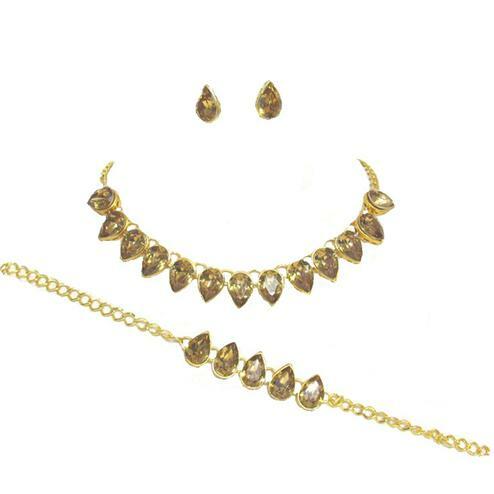 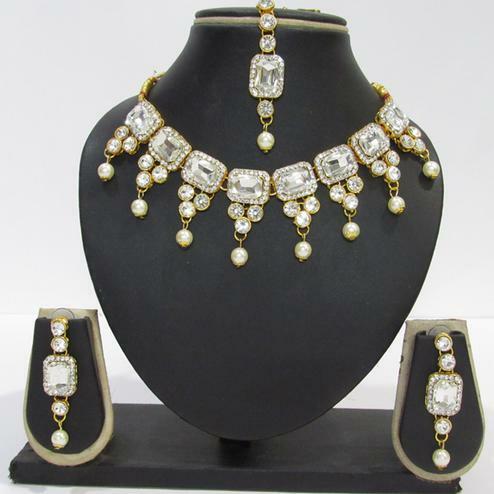 You can buy this jewelry for yourself or also can gift it to someone special. 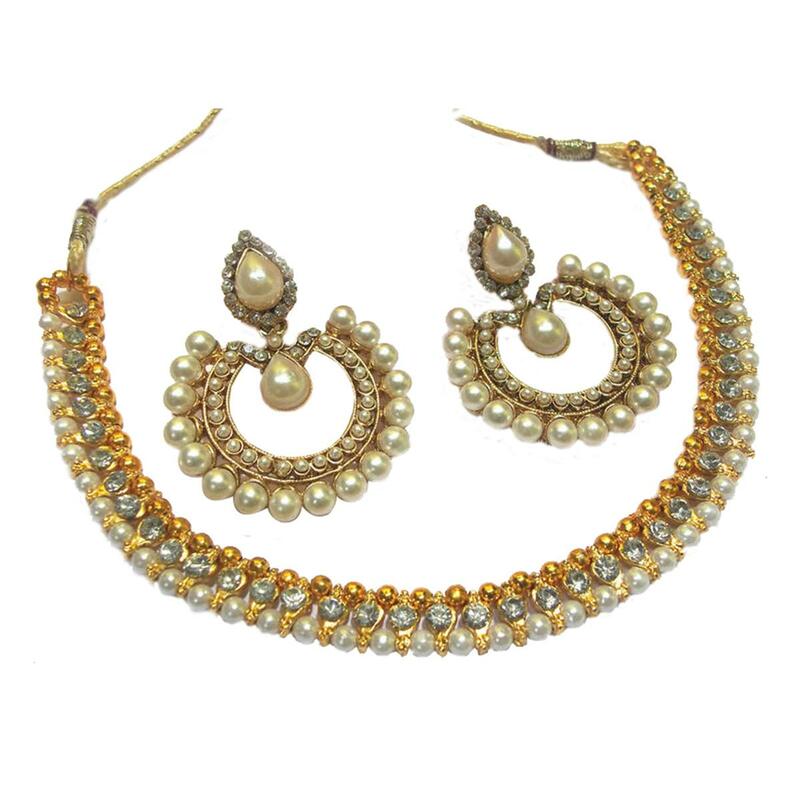 Material Used : Pearl, Stone.